Welcome to Extractohol - Premium Food Grade Ethyl Alcohol That Extracts it All! SALE!!!! Notice : Must be age 21 or over to order products, will confirm before processing orders. Must adhere to local, State, and Federal Laws. 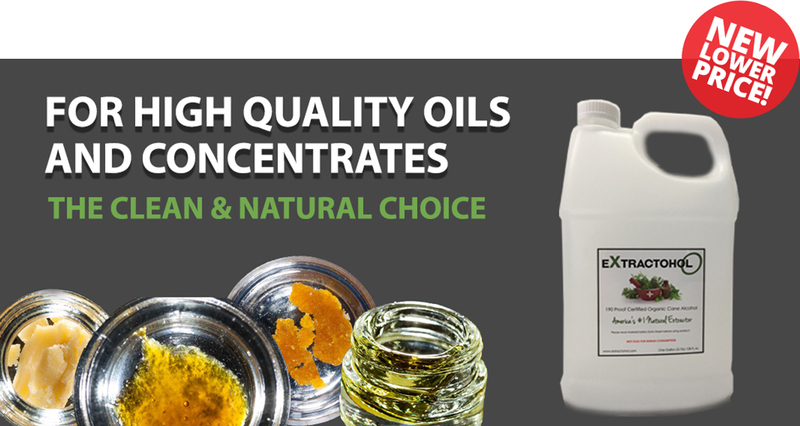 Extractohol is the best natural extractor available to make herbal extractions, oils, and concentrates. Due to its efficiency and purity Alcohol has been used for herbal extraction for over 1,000 years. Pure ethyl alcohol has been used in the medical and scientific community for hundreds of years. Extractohol is 200 Proof Ethyl Alcohol (Food Grade Alcohol). Extractohol-O is 190 Proof Certified Organic Natural Cane Alcohol. Extractohol has almost zero displacement when poured over herbs because of its purity. It is excellent for making herbal oils, tinctures, perfumes, aromatherapy oils, and culinary extracts! 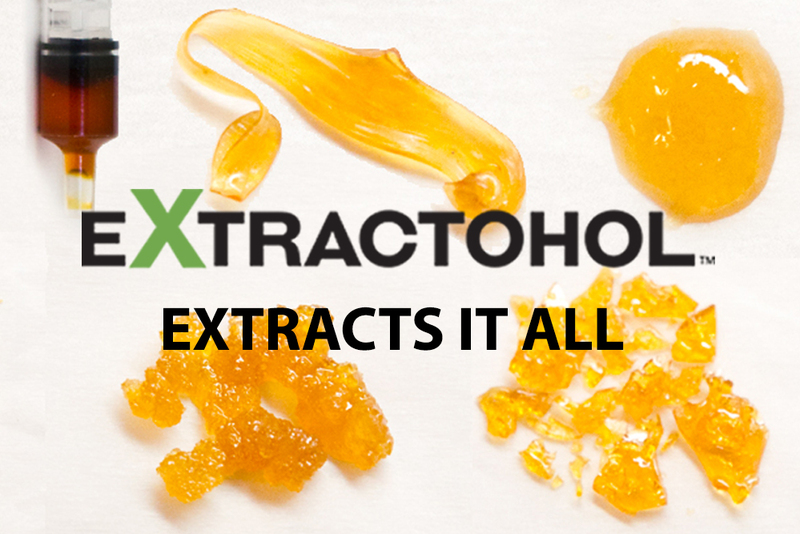 Enjoy natural, healthier extracts with Extractohol! Copyright Extractohol. All Rights Reserved.